Atoms and molecules and compounds all vibrate at different rates, depending on the number of electrons bonds, the mass of the nuclei, and other factors. When molecules combine to form complex compounds, their vibrations combine, forming symphonies of vibrations. All things made up of atoms vibrate, and the electron motions in those vibrations generate electromagnetic fields that radiate in all directions, as electromagnetic radiation, including biophotons, and other frequencies outside of the narrow band of visible light. We are surrounded by energy fields emanating from every physical object in the universe. These emanations are mostly invisible, but they exist, just as certainly as radio and TV signals exist all around us. You are not only bathed in energy from everywhere, you are also a source of radiant energy yourself. Energy radiates from the atoms and molecules in your brain, heart, and other organs, as well as from your hands and feet. These energy fields, consisting of a number of frequencies, combine to form an electromagnetic symphony of vibrational frequencies that broadcasts your unique signature out into the universe. Your energy signature is more complex and unique than your fingerprints. And scientists are developing instruments more and more sensitive to analyze the frequencies emitted by atoms, molecules, organs and every object in the universe. The idea that you are surrounded by your own energy body, consisting of a suite of vibrational frequencies is no longer just a theory, or a new-age fantasy. The recent discovery of quantum vibrations in "microtubules" inside the neurons in the brain by anesthesiologist, Stuart Hameroff, MD at the University of Arizona and British mathematical physicist Sir Roger Penrose, PhD of Oxford University, validates the idea. Stuart Hamaroff is a colleague I've known for more than 10 years, and I have met Sir Roger Penrose. They conclude in papers published in books and technical journals that the vibratory states of these microtubules in the brain correlate with various states of consciousness. 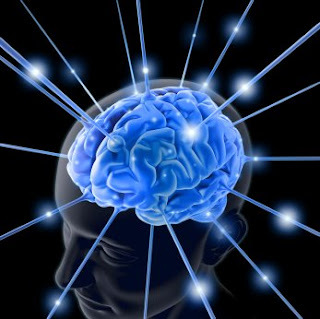 They suggest that “EEG rhythms (brain waves) also derive from deeper level microtubule vibrations, and that from a practical standpoint, treating brain microtubule vibrations could benefit a host of mental, neurological, and cognitive conditions.” Enhancing brain microtubule vibrations should enhance cognitive functions such as mental clarity and focus.